Image Size: 14 X 14 in. “This painting depicts one of my favorite stories from the life of Christ,” says artist Morgan Weistling. 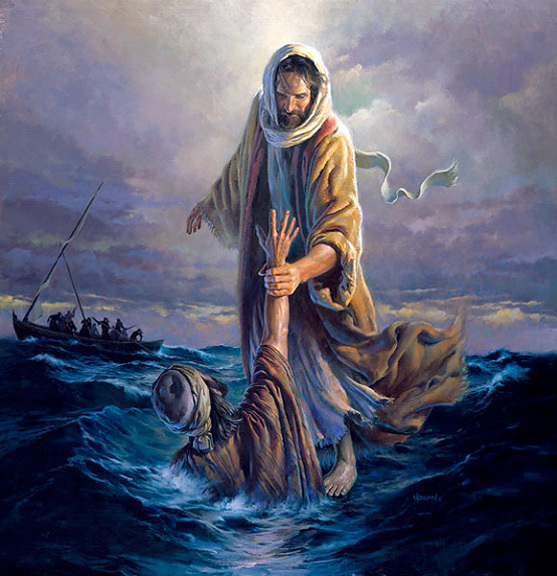 “I remember reading about Jesus walking on water and noting that he was out in the middle of a lake! This had a profound effect on me.